Home Insurance Lafayette La — Top Rated Companies Want Your Business! Because Home Insurance in Lafayette Louisiana along with the rest of our states Parishes is among the most expensive in the entire country — working with an independent insurance agency is a must to keep your rates low over the long run! 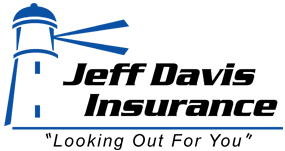 Jeff Davis Insurance is a leading Independent Insurance Agency in Louisiana and we can shop the market to help you find lower rates on Homeowners Insurance in Lafayette Louisiana and the surrounding areas. An agent only selling insurance through one company is at a HUGE disadvantage because there isn’t a single insurance company that offers the lowest rates for all circumstances — this is why independent agencies are the best place to find the lowest rates long-term! Please call 1-888-260-6801 to speak with our licensed agents for low rates on Home Insurance Policies in in Lafayette Louisiana or if it is easier send us an online quote request when you click this link: Home Insurance Lafayette La. 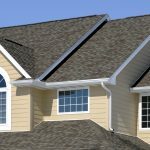 Home Insurance Lafayette La — Is This Claim Covered? In our previous post we were discussing a fictitious account whereas a party is thrown by yourself. One of your guests recommend shooting off some fireworks including Bottle Rockets, Roman Candles, Lady Finger Firecrackers, and Sparklers for the kids. Two of younger kids, Stephanie (9 years old) and Joey (10 years old) sneak around to the front of your home and want to light some of the sparklers away from the other kids and adults and they do it near your front porch. As Stephanie lights up a sparkler she gets scared and hurls the sparkler away landing right next to your cedar siding and she and Joey run to rejoin the rest of the adults and other kids. Regrettably, that sparkler sets the front of your home on fire! It only takes a few minutes before the fire is detected by one of your house guests. 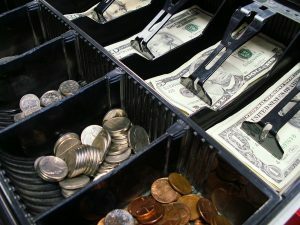 The fire department is called and the fire is quickly extinguished and within the next few days you learn that the damage amounts to about $47,000. Because of he high cost of Home Insurance in Louisiana you opted for the Broad Policy Form (HO 2) which coincidentally is a named perils policy. And while it is true Fire is a listed peril in the policy purchased, you may recall from our previous post that only claim events specifically named in the policy would be covered. Would the $47,000 in damages be covered by your broad policy form despite the fact that the fire was caused by fireworks which is not a named peril? That is a very good question. It’s likely the insurance company would pay the claim as fire was the catalyst for the damage to the property unless there is some type of exclusions within the policy itself. However, the HO2 has some BIG limitations whereas a claim event may not be covered. Our question to you as a reader is why would you want to take a chance on minimizing your coverage for the sake of saving money? You see for only a little more money, a HO3 Special Policy Form could have been purchased versus the HO2 Broad Form. The HO3 Special Policy Form eliminates named perils coverage for the Coverage A (the house itself) and provides coverage for all claim events unless that event is specifically excluded in the policy. The HO3 only covers your personal property on named perils so keep that in mind, but the house itself does not include the named perils restriction. The HO3 is a much superior policy form compared to the HO2. The HO5 policy form is superior to the HO3 and in a future article we will discuss this in more detail. It’s always best to work with an agency that will go over the options with you as you are shopping for Home Insurance in Lafayette Louisiana, don’t you agree? 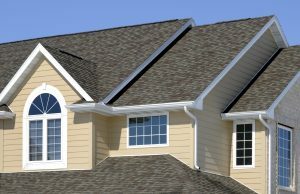 Choose Jeff Davis Insurance for Home Insurance in Lafayette Louisiana! Commercial Auto Insurance Lafayette Louisiana — Call us Today. If you need Commercial Auto Insurance in Lafayette Louisiana or the surrounding area the best number to call is 337-824-4455! 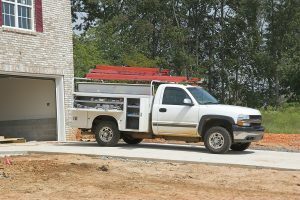 The agents of Jeff Davis Insurance can help you find the best options for commercial auto, general liability, coverage for business property which including buildings, equipment, and Louisiana Worker’s Compensation Insurance. Commercial Auto Insurance Lafayette Louisiana — Part 14 of the Hal Dingledorfer Story. In part 13 we found Hal walking north on the highway looking for help. His new truck was completely destroyed. Hal’s clothing is shredded, he is bleeding and he looks like a refuge who just walked out of a war zone. Hal starts to walk toward Big Ben and because of his injuries he stumbles and falls to the ground passing out. Big Ben and a few other motorists call 911 and soon after Hal is transported to a local medical facility. The highway patrol and fire departments close down the highway in both directions. Hal is treated and released the next day. He suffered a mild concussion, numerous scrapes and contusions but is more or less okay. Hal learns the next day why there were more than 1000 cattle congregating around both sides of the highway, the subsequent damage the cattle caused after they headed into the farmer’s field, plus why his truck exploded. Hal is not sure how he is going to explain this to his insurance company. His $100,000 truck is destroyed along with his load of office supplies he was hauling to Staples and he has no idea if his insurance covers meteorite damage or not. In our next post we will consider the answer to that question. 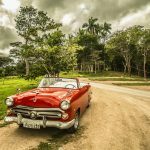 Commercial Auto Insurance Lafayette Louisiana — It’s Complicated. Insurance is very complicated and for this reason we like to use stories and accounts to post situations, in some cases outlandish situations in which to teach object lessons. The account about Hal Dingledorfer that we have written over the last 14 articles as you might imagine is completely fictitious. However, there is a very real story to be learned that we will consider in next week’s lesson so we hope you tune in! 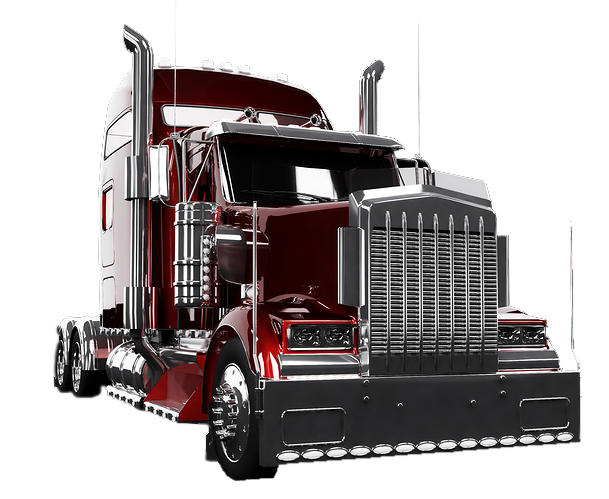 Call 337-824-4455 When You Need Quotes on Commercial Auto Insurance Lafayette Louisiana! The licensed agents of Jeff Davis Insurance would be happy to help you with your business insurance needs and we hope that you call us. If you find our website after hours and you enjoy our articles, you will enjoy speaking with our team members even more. Are you in the market for Lake Charles Commercial Auto Insurance? If so, then the search is finally over! Our goal here at Jeff Davis Insurance is to help you find great rates and even better service for all your needs for Commercial Auto Insurance in Lake Charles. Jeff Davis has been helping policyholders with their Louisiana Business Insurance needs for over 50 years! 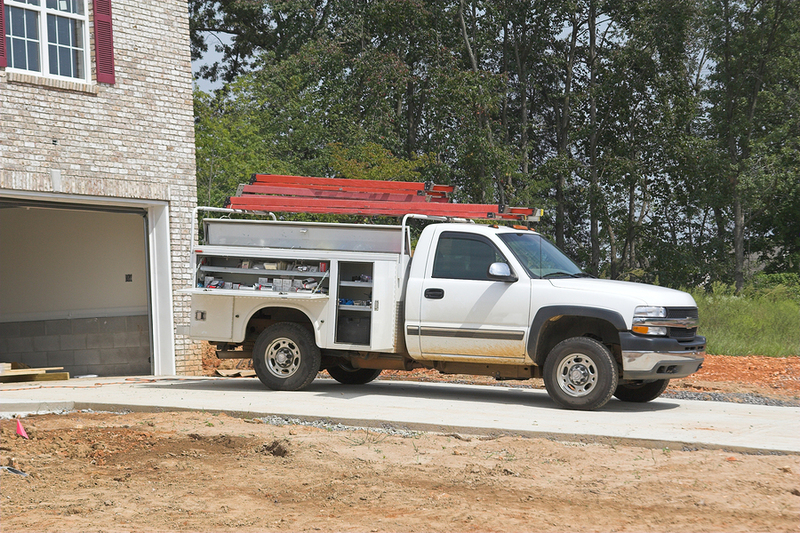 Commercial Auto, General Liability, Workers Comp, we offer it all with one call. We will now consider part 8 of our continuing story of Hal Dingledorfer. The lessons we will consider will help you personally with your Louisiana Commercial Auto Insurance. Lake Charles Commercial Auto Insurance — Part 8. 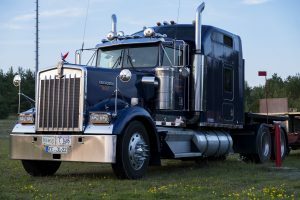 Hal Dingledorfer, an owner operator, was attempting to complete his delivery on time despite running through a heavy rainstorm as we considered in our last article. The rain was so intense other vehicles traveling south with Hal decided to pull over as visibility became an issue, Hal decides to press on despite the decreased visibility. As Hal makes the sharp right turn a mile and a half past mile marker 151 he immediately slams on his brakes because of what suddenly appears through his windshield. Hal pulls over into the emergency lane as quickly as his Big Rig allows. Hal gets out of his truck to investigate and walks forward sweeping his light to the left and right trying to figure out the extent of this massive roadblock before him. It appears there are hundreds, if not thousands of cows blocking both sides of the highway for as far as he can see in the rainstorm. Some of the cows turn and stare at Hal curiously as his flashlight attracts their attention. Other cows ignore Hal and meander in their search for grass to feed upon. Hal then realizes he needs to immediately warn other drivers. A car or even Big Rig running into a full-sized cow at 75 miles per hour would be very bad for the cow and the passengers of that car or truck. Hal reaches into his pocket to retrieve his cell phone to call 911 and he finds only his car keys, he then remembers he left his cell phone attached to his USB port in the truck so he turns around and heads back to the truck to find both his phone and the emergency flares. With a sense of urgency Hal decides to run toward his truck and after only a few paces he notices at what can only be accurately described as some kind of celestial phenomenon. Fast streaks of light above and behind his truck appear to be headed toward Hal as if they were guided missiles targeting him personally. Hal immediately freezes like a deer in a headlight, forgetting the emergency flares and his cell phone. What happens next? Stay tuned for next week’s episode. Lake Charles Commercial Auto Insurance — Lows Rates, Great Service! When you need low rates on Commercial Auto Insurance in Lake Charles Louisiana you can trust the agents of Jeff Davis Insurance to help you find what you need. Lafayette Commercial Auto Insurance – Drop Us a Line Today! If you are on the lookout for affordable rates on Commercial Auto Insurance in Lafayette Louisiana then drop us a line today at 337-824-4455! You can call our toll-free number any time to speak with an agent about receiving free quotes on the Louisiana Commercial Auto Insurance you need. In addition, you can click on one of the locations listed below to open our online quote request system. Fill out the form to request a free quote electronically and we’ll get back to you soon! 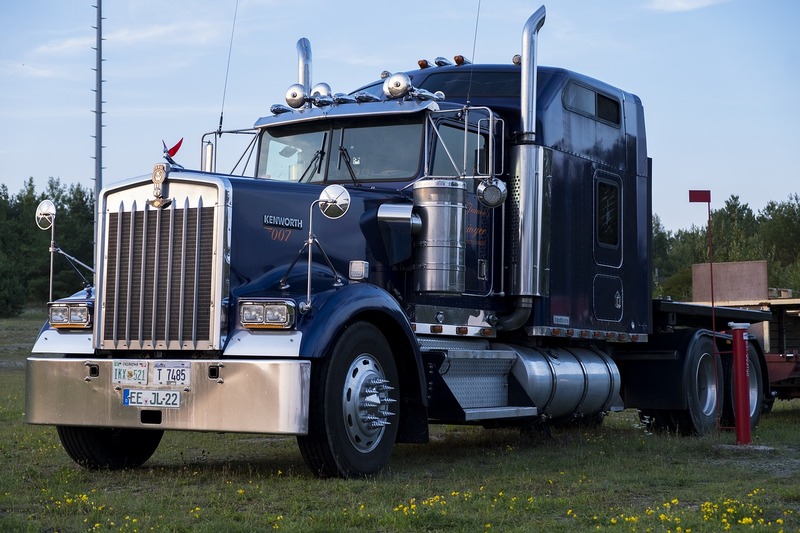 Hal Dingledorfer, the truck driver who drives freight for his limited liability company, Dingledorfer Delivery and Transport, LLC., recently switched to a new insurance provider in order to save himself some money on insurance premiums. You may remember from part 1 that Hal also changed his coverage from Comprehensive Coverage to Fire and Theft with Combined Additional Coverage, which is a form of coverage that only provides insurance protection for a short list of specific types of damage. In a general sense, Hal knew, when he made the decision to switch coverage, that his new coverage did not cover as many things as his former coverage. That being said, he did not take the time to understand exactly which kinds of damage would no longer be covered under the Fire and Theft with Combined Additional Coverage form. Besides, several months have gone by since the switch without so much as a fender bender, scrape, ding, scratch, dent, or crack. To be honest, Hal probably hardly remembers making the coverage switch at this point. It is with this in mind that we join Hal one afternoon while he is making his way across the state in his big rig on a delivery for Dingledorfer Delivery and Transport, LLC. Hal has been craning his neck all morning to look up at the sky through his windshield. The weather forecast called for heavy rains all day long. So far, though, Hal has not seen a single drop, let alone a full-blown rainstorm. It’s not that Hal minds the rain all that much. In fact, he finds them to be rather pleasant. Unfortunately, though, torrential downpours can make visibility while driving very difficult, and anything that decreases his visibility slows him down. Even with a fancy new set of wiper blades, Hal still isn’t certain that he will be able to maintain anywhere near the speed he typically likes to cruise at while on deliveries. What will happen next? Find out next week in part 3! Lafayette Commercial Auto Insurance – Contact Us Right Now! Speak to one of our agents by phone right now for great low rates on the Louisiana Commercial Truck Insurance you are looking for! Truck Insurance Shreveport – Call Now for Improved Rates! 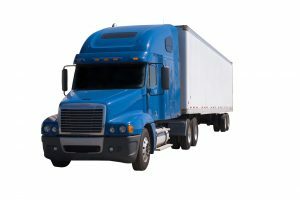 Are you considering purchasing Commercial Truck Insurance in Shreveport? Call us right now, toll-free, at 337-824-4455 and allow us to help you find improved rates and coverage for the Shreveport commercial auto insurance you need. Last time, we described how Clarence, a tow truck driver for a company named TJ’s Titanic Towing, got into an accident involving an unfortunate deer that leaped out in front of his truck without warning. Not having time to stop, Clarence hit the critter at full speed, causing serious damage to the front end of his vehicle even before he smashed into a tree and damaged his truck even further. Miraculously, Clarence survived the crash. He emerged from the wreckage a little dazed and covered in bruises, but otherwise unharmed. “Airbags are wonderful things,” he would later say when recalling that night. 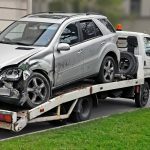 We ended our previous article by asking whether Clarence would be alright, whether the tow truck was totaled, and, finally, whether TJ’s Titanic Towing’s commercial auto insurance policy will cover the damage to the truck in this situation. Since we’ve already answered the first question, let’s move on to the second one. 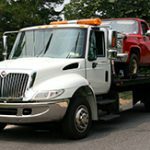 Is the tow truck Clarence drives so badly damaged that it would be more expensive to fix it than to simply replace it? It certainly looks that way. The front end of the vehicle is crumpled up like an accordion and bent around the trunk of the tree. It seems very unlikely that the engine and transmission are undamaged. Clarence calls his boss, doing his best to talk over the sound of the pouring rain. Nick, Clarence’s boss and the owner of TJ’s Titanic Towing, takes it upon himself to call the police. 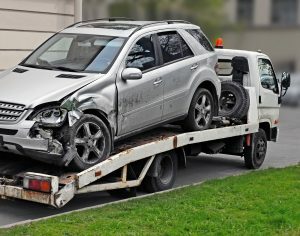 Shortly afterward, Nick files a claim with the insurance company that provides his business’s commercial auto insurance policy. In next week’s article, the insurance company will perform its assessment of the accident and we’ll find out whether or not the damage is covered by TJ’s Titanic Towing’s policy. 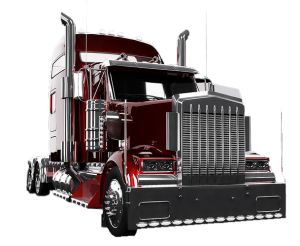 Commercial Truck Insurance Shreveport – Talk to the Truck Insurance Experts Today! Are you ready to take the next step toward obtaining better rates and coverage on the Louisiana Truck Insurance you need? If that is the case, then call the Louisiana Commercial Auto Insurance experts at Jeff Davis Insurance right away. Again, our toll-free number is 2, but you can also begin the quotes process by filling out our online quote request form. 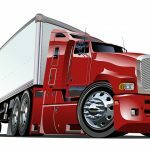 Truck Insurance Baton Rouge – Big Time Savings on the Coverage You Need! 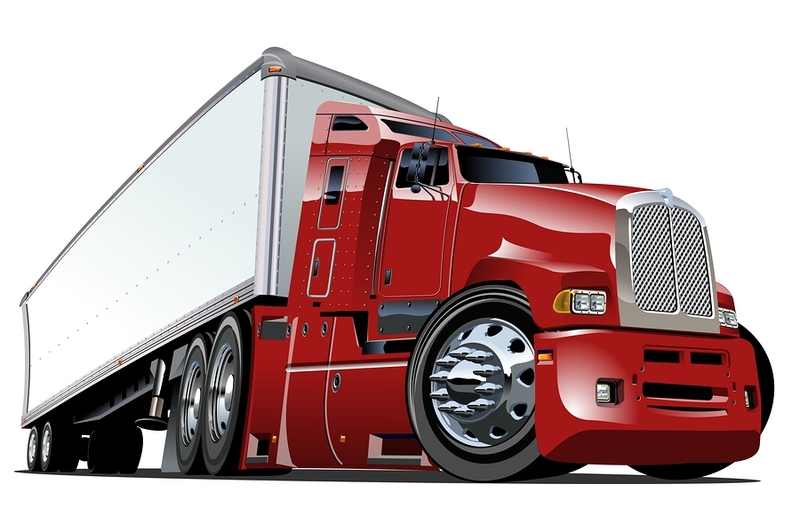 Are you after big time savings on Commercial Truck Insurance in Baton Rouge or the outlying counties, towns, and neighborhoods? 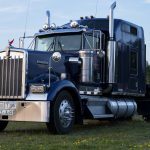 That is great news, because we at Jeff Davis Insurance are looking to provide new clients with top-tier pricing and policies for the Louisiana Truck Insurance they seek. The number to call is 337-824-4455. It’s toll-free, so don’t hesitate to give us a ring. Our office is open every Monday through Friday from 8:30 AM to 4:30 PM. If you would like to send us your information ahead of time, or if you have found our website after normal business hours, click one of the links provided here and request a free quote using the form that appears. In the last entry into our ongoing coverage scenario series, a tow truck driver named Clarence braved a pelting nighttime downpour in his tow truck to reach a stranded customer. To refresh your memory, recall that Clarence works for TJ’s Titanic Towing, a towing company owned by Nick, who is also the best friend of Rick, another towing company owner. Previously, we learned that Clarence is a relatively new tow truck driver, and this one of his first night shifts since taking the job. Groggy from lack of sleep and already struggling to stay safely in his lane on the near-invisible road, Clarence did not see his imminent car accident coming until it was much too late. Animals usually hunker down during a rainstorm such as this one, but, for one reason or another, a lone deer had been spooked out of its nesting area and made a break for the other side of the road. Unfortunately for all involved, he decided to attempt the crossing just as Clarence was approaching. Between the wind, rain, darkness, and sleep deprivation, Clarence stood little chance of avoiding the animal. 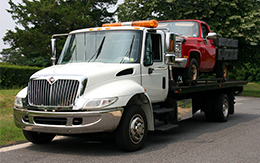 Next week, we find out what happens to Clarence and his tow truck upon collision. 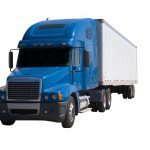 Commercial Truck Insurance Baton Rouge – Contact Our Office Today! For excellent customer service, free quotes, and great rates on the Louisiana Commercial Auto Insurance you need, contact the office of Jeff Davis Insurance today by dialing 337-824-4455. Because we work with multiple insurance providers, we are able to offer you a wide selection of Baton Rouge Commercial Auto Insurance options so that you can opt for the rates and coverage that best fit your needs. Click on an option below to be taken to our quote request form page, where you can submit your request for free quotes at any time. Truck Insurance New Orleans – Act Now for Big Savings! Do you want to save big money on Commercial Truck Insurance in New Orleans or the surrounding areas? If so, then act now by calling us free of charge at 337-824-4455. Our agency is open for business every Mon to Fri until 4:30 pm CST (lunch hour at noon). When you contact our agency for quotes on New Orleans Commercial Truck Insurance, you are making a smart financial decision. Because when you work with an independent agency like ours you get to take advantage of the benefits that are unique to independent agencies (as opposed to a captive agency who can only sell insurance from one insurance company). We are able to browse the insurance market in order to give you a choice from multiple carriers. 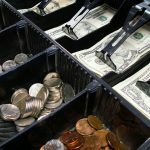 Chances are good that you will find a much better rate using this method than you would if you bought from a captive agency’s “one size fits all” approach. To find out whether you might be able to save big money on your premiums, contact us today by phone or by filling out our online quote request form. Previously, in Part 6, we followed a tow truck driver named Buford, who works for Slick Rick’s Quick Towing, as he made his merry way to tow a vehicle on the other side of town. As he drove along the scenic route, Buford turned up his radio and sang along to a favorite song of his. With the window down, the radio blaring, and the scenery to take it, it’s fair to say that Buford is less alert that he might otherwise be. If he was paying better attention he might have noticed the danger up ahead. Let’s find out what lies in wait for Buford. As Buford zoomed along and belted out the lyrics to the song on the radio, a small herd of deer is busy crossing the road about 100 feet up ahead. By the time Buford notices the deer it is far too late to slow down. The does on each edge of the road dart off into the woods, but one is left staring directly into the oncoming tow truck, frozen like… well, like a deer in headlights. The story continues in next week’s episode. Truck Insurance New Orleans – Don’t Delay! Call Today! There’s no reason to delay! If you want to find out whether you could be saving significant money on your premiums, the best way to find out is to call us today or request a quote online. Dial 337-824-4455 to speak with us over the phone or use any of the links listed below to fill out our handy online quote form any time, day or night. Lafayette Gas Station Insurance at Unbeatable Rates! 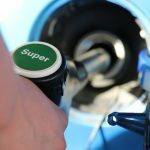 Your search for better rates on Gas Station Insurance in Lafayette Louisiana is over because the commercial insurance professionals of Jeff Davis Insurance are here to help. 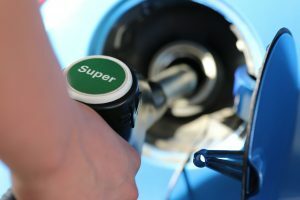 To get in touch with us and learn about the great savings on Lafayette Gas Station Insurance for which you may qualify, call us today via our toll-free number: 337-824-4455. Our agency is open for business every Monday through Friday from 8:00 AM to 4:30 PM (please note: we break for lunch from 12:00 PM to 1:00 PM). For free quotes, call us today or click on a location near you from the options listed below and you will be taken to our business quotes page. In our most recent article, Chad nearly had a panic attack when he noticed red and blue lights flashing through his bedroom window. After scrambling around his room indecisively, he ultimately nestled himself inside his closet and held his breath, hoping against hope that he would escape detection. He heard police officers exit their patrol car and knock on his front door. After a few minutes, though, they walked back to their car and pulled out of the driveway. Did Chad just evade capture? Let’s find out. Chad bolted down the stairs and toward the back door. His fear of being captured and subsequent elation at not being arrested sent adrenaline coursing through his veins. He burst out of his back door, sprinted through his back yard, and made for the fence surrounding his small property. “I’m going to make it!” he said to himself jubilantly as he vaulted over the wooden fence. Chad’s visions of a bright future performing circus tricks as Doughnuts the Clown were dashed in an instant as he leaped over the top of the fence and landed into the waiting arms of a burly police officer. “Nooooo!” he cried out maniacally as the police officers wrestled him to the ground. “I’m Doughnuts the Clown!” he shouted again, beside himself. Find out what happens next in Part 29. Fill Out Our Online Form to Request Quotes on Gas Station Insurance in Lafayette!